Even those who have been born again cannot see the kingdom with their natural eyes or their natural mind, for it is spiritually discerned. Many have claimed the church and the kingdom of God are one and the same, but I think not. The church is visible and locatable, both of which Jesus said are not attributes of the kingdom. Therefore, for those born-again believers who desire to “see” the kingdom of God, they must use something other than their physical senses. The kingdom of God is spiritually discerned. Recall that a kingdom is the realm of the king’s domain. In trying to understand the kingdom of God, people have applied what they know of literal kingdoms ruled by a monarchy here on earth. One of the first things they come up with after establishing the borders of said kingdom is the necessity of rules governing the kingdom. I mean, after all, if a king is going to rule he’s got to have rules, right? And finding a long list of rules that apply to the kingdom of God is not a problem for anyone with a Bible and a desire to enforce those rules on the unsuspecting. Many people have a hard time with this next statement. There are NO rules in the kingdom. HOWEVER, if you want to enjoy the benefits and privileges of kingdom living, there are plenty of principles available for your practice. But, you say, what about that verse you just quoted from Romans? 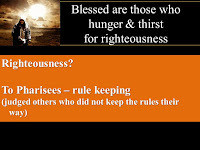 Doesn’t it also mention righteousness? 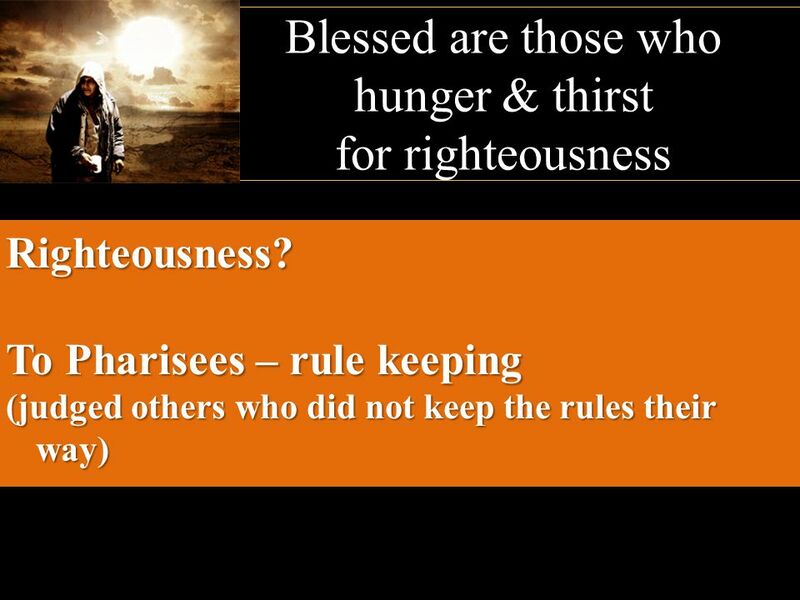 Any weekend student of the Bible knows that righteousness is simply right-living. Therefore, the logical conclusion is to follow the rules for right living as outlined in the Bible. That is all well and good for the natural man, who, after he “accepts Jesus” sets out to establish his own righteousness; but that is not the righteousness that God is looking for. That kind of righteousness stinks. How can sinful man produce anything of value for a transcendent God? Not even one who is born again has the ability to do such a thing. Please keep in mind that David had this revelation during the time when sacrifice and burnt offerings were very much a part of the Jewish way of life in following the commands of YHWH. That is not how God understands righteousness. Therefore, it is of utmost importance that when we read Romans 14:17 we understand exactly what Paul meant. He was not saying that we need to do right in order to enjoy or manifest the kingdom. We need to be right. It is only through the righteousness of Christ that we have any righteousness at all. It is only through His righteousness that we can begin to understand the kingdom of God. It matters not how many sins you’ve committed, nor how many sins you’ve avoided. It matters not how many good deeds you have done, nor how many you have avoided. The only thing that matters is whether you have been made righteous through the blood of Jesus Christ. The kingdom of God looks like righteousness that is not your own, peace that is not your own, and joy that is not your own.